Select Residential TypeRented with FamilySelf ownedOwned by Parents/ SpouseCompany providedPGWith Friends/ Bachelor Acco. Do You Use a Card Swipe Machine? +91 Enter Valid Mobile No. Loan amount: Business loan rate in United Bank of India depends upon the loan amount you apply for. Higher the loan amount, lesser will be the interest rate. Bank gives loan of minimum Rs. 5 Lakh to upto Rs. 50 Lakh. Interest rate for high loan amount can be lower resulting in lower EMIs. 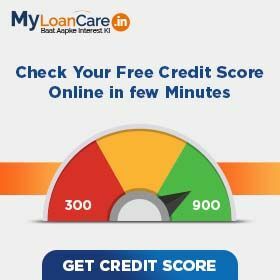 CIBIL Score: United Bank of India offers loan at higher interest rate if your CIBIL score is low or vice versa. However, to get loan from United Bank of India, your CIBIL score should be atleast 700. Higher the CIBIL Score, higher the chances of getting a loan at lowest business loan interest. Revenue: United Bank of India will offer you loan at lower interest rate if you have higher monthly revenue. Bank gives loan to the borrowers whose annual turnover is at least Rs. 0 . Time in Business: United Bank of India offers loan at lower rates if you have significant business experience. Minimum business existence to get loan from United Bank of India is 24 months. 2.Your past track record in repayment of loans. Age: Age plays an important role to know your eligibility and repayment capacity. United Bank of India offers loan to those who are at least 25 years old at the time of loan approval and maximum 65 years at the time of loan maturity. Loan Amount: Based on the loan amount eligibility, bank gives you loan ranging from Rs. 5 Lakh to Rs. 50 Lakh. To improve chances of approval, apply for a loan amount that you can comfortably service. Profitability and Revenue: Loan eligibility significantly depends upon profitability on your turnover, revenue and profitability. United Bank of India requires profit for minimum 2 years and minimum business turnover of Rs. 0 .
Business Stability: Future business prospects and its stability is important to improve your eligibility for business loan. United Bank of India requires minimum business track record of 24 months. The bank will also look for minimum growth in sales for the last three year. A decline in sales for a certain period or below a certain limit might impact your eligibility to get loan. ITR and Banking: Bank gives loan only after checking your income tax return and bank statements. Your ITR details for minimum 24 months and bank statement for minimum 0 months will be required by United Bank of India. CIBIL Score: When checking loan eligibility, United Bank of India will look at the complete CIBIL report. United Bank of India will check your repayment history for all current and past loans and credit cards. Bank advise you to maintain a score of 750 and above to get loan approval. Interest Rate: Higher the interest rate, higher will be the EMI. For a 60 months loan from United Bank of India at an interest rate of 13.00% per annum, EMI will be Rs. 2,275 per Rs. one lakh loan amount. At an interest rate of 13.00% for the same loan, the EMI will be Rs. 2,275 . Loan tenure: Longer the loan tenure, lesser your smonthly EMI. At interest rate of 13.00% per annum, the EMI on United Bank of India business loan would range from Rs. 8,932 to Rs. 2,275 for loan tenure ranging from 12 to 60 months. Amount Borrowed: United Bank of India Loan EMI will be high if you apply for a high loan amount. For amount borrowed Rs. 5 Lakh, the EMI at 13.00% for 60 months would be Rs. 11,377 . Similarly for amount borrowed Rs. 50 Lakh, the EMI at 13.00% for 60 months would be Rs. 1.14 Lakh. What are the benefits of calculating business loan EMI? Why to take business loan from United Bank of India ? Bank offers loan at 13.00% rate with the lowest EMI of Rs. 2,275 per lakh. If you are paying EMI more than this then you can opt for balance transfer and relocate your loan to United Bank of India. What is the interest charged on United Bank of India business loan? Interest rates on Business loan in United Bank of India are very attractive starting from 13.00% to 13.00%. Bank offer various offer for self employed professionals to get loan at very low rate of interest. What is the lowest EMI per lakh on business loan from United Bank of India ? If you apply for loan from United Bank of India, your lowest EMI per lakh will be Rs. 2,275 . What is the minimum and maximum tenure of business loan in United Bank of India? These loans are shorter tenure loans. You can repay your loan in a flexible period of minimum 12 months to maximum 60 months. 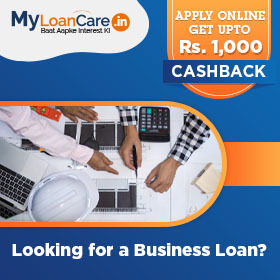 How much business loan amount I can borrow from United Bank of India? United Bank of India offers you loan if you need a minimum amount of Rs. 5 Lakh to a maximum amount of 50 Lakh. What is the processing fee charged by United Bank of India on business loan? United Bank of India charges a processing fee of 1.15% with applicable tax. Is age an eligibility factor to get loan for business from United Bank of India ? Yes, age is an important eligibility factor to get loan as you should be at least 25 years old at loan approval time and 65 years old at loan maturity time. What are the prepayment charges on business loan from United Bank of India? Bank charges a fee in case you want to repay your entire loan amount before the end of tenure period. The fee charged by United Bank of India is 2% of Outstanding Balance . After the mounting pressure from Reserve Bank of India, the United Bank of India has started to step up efforts towards financial improvement, planning a turnaround by March 2018. The central bank has imposed additional restrictions on United Bank of India under the Prompt Corrective Action (PCA) framework. The bank will close 8 to 10 branches and many of its ATMs. It is also considering selling Rs 1,500 crore worth loan to ARCs in this quarter. United Bank of India is looking to raise funds up to Rs. 1,000 crore through various options. In its regulatory filing, the bank has reported that its board of directors has approved rising of equity capital via Qualified Institutions Placement, Public Issue and Right Issue. However, the bank has not disclosed the purpose of raising the capital.